The original 1st Regiment South Carolina Volunteer Infantry (Gregg's) unit mustered in at Columbia, South Carolina, as part of the provisional army. They were sent to Charleston, and were part of the forces that bombarded Fort Sumter. They were transferred to Virginia as part of Maxcy Gregg's Brigade, A.P. Hill's Division, Army of Northern Virginia. The regiment was made up of 11 companies, but Company D, the Pee Dee Rifles, was converted to an artillery unit known as McIntosh's Battery or the Pee Dee Light Artillery. The First South Carolina was engaged at 2nd Manassas, Sharpsburg, Fredericksburg, Chancellorsville, Gettysburg, Mine Run, the Wilderness Petersburg, and Appomattox. At the Battle of Sharpsburg, the First South Carolina along with A.P. Hill's Division made a forced march from Harper's Ferry; arriving in time to turn back Burnside's attack on Lee's right flank, saving Lee's army form certain destruction at the hands of the Federals. Nearly a year later, at Gettysburg, the First South Carolina was the first Confederate unit into the town square, her flag being recorded as the first Confederate banner raised above the Pennsylvania city. The First South Carolina was engaged in some of the most severe battles of the war, and suffered over 1000 casualties during the War for Southern Independence. 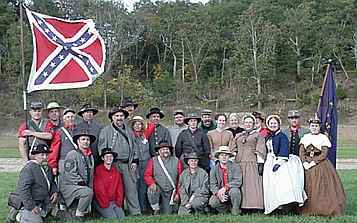 The reactivated 1st South Carolina Vol. Inf. was mustered into the N-SSA at the 1970 Spring Nationals. George Fealko and Norm Gibson are the only two members still left from that first year. Over the years the membership has grown from 15 members to 38, ages ranging from 15 to 80. The unit considers itself a family organization, with husbands and wives, and sons and daughters as members. The unit's home traditionally has been located in Richmond, Michigan, but members are spread across Michigan, ranging from the northern cities or Hawks, Hillman and Northport, to southern enclaves in the west such as Battle Creek and Kalamazoo, to a large contingent located in the great Detroit area. The unit even has members from such far-flung regions as Winchester Virginia, and Ontario, Canada. The unit has helped sponsor and host two N-SSA nationals, and over 15 Northwest Territory regional skirmishes to date. The unit is competitive in musket, carbine, Breechloading Rifle/Carbine II, Smoothbore Musket, mortar, field artillery, dress competition and revolver, taking medals in all areas in NWT and National competition. 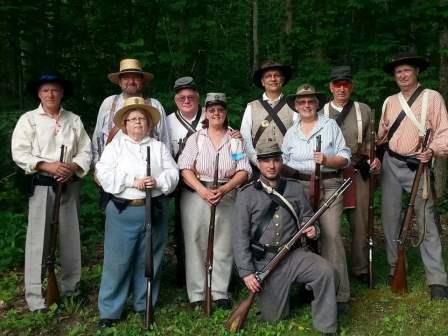 The unit has placed well in recent years in musket competition placing as high as second with regularity, and won the carbine championship at the 102nd Nationals. It has placed in the top ten in Breechloading Rifle/Carbine II at every national since it first fielded a team in that competition in 2001. Most recently, at the 107th National the unit won the inaugural Smoothbore team matching winning for the first time in N-SSA history the new "Men of the West" trophy. The 1st South Carolina also knows how to make their revolvers make noise, and smoke. In 1981 George Fealko, Forest Gearhart, and Norm Gibson, all long time members of the 1st S.C., formed a partnership to build a full scale Civil War artillery piece. It was decided that a 10 pounder Parrott would be the gun to build. The unit's first N-SSA artillery competition was at the 1985 N-SSA Spring Nationals. Final score was a perfect 50-5V, which tied the 3rd U.S. Regular Infantry. The tie could not be broken so both units were awarded first place and the Pelham Trophy. Since then the N-SSA has written a tie breaker rule for artillery. The First continues to place in the artillery medals consistently. In 1986 the unit was given an original 8 inch siege mortar, and set about building a bed for it. The unit was part of the first mortar demonstrations at Fort Shenandoah, using a 12 pounder coehorn. The unit's, and most notably, Norm's, love for artillery is well known throughout the region. As a reflection of this the Unit's collection of artillery has expanded to include the above mentioned 10 pounder Parrot rifle, 12 pounder Coehorn mortar, a 12 pounder Tredegar (Confederate) Napoleon, a 24 pounder Bronze Coehorn mortar, the 8 inch siege mortar, and more to come" Currently members of the unit are involved in a joint project with the 7th Wisconsin to construct several Ellsworth Breechloading cannons and an 1840 12 pounder Mountain Howitzer. The First South Carolina continues to support the principles of friendship, good sportsmanship, safety and family fun. 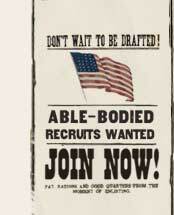 To learn more about the 1st South Carolina, visit the Unit's homepage at www.firstsouthcarolina.com. The 1st South Carolina also is a proud member of the American Civil War Shooting Association (ACWSA).